Ensyn uses its patented and proprietary RTP fast thermal technology to convert wood residues and other non-food, cellulosic biomass to liquid biofuels. Ensyn has had continuous commercial operations for more than 25 years. Its technology has produced over 37 million gallons of renewable fuels and chemicals in over 160,000 hours of successful plant operation. 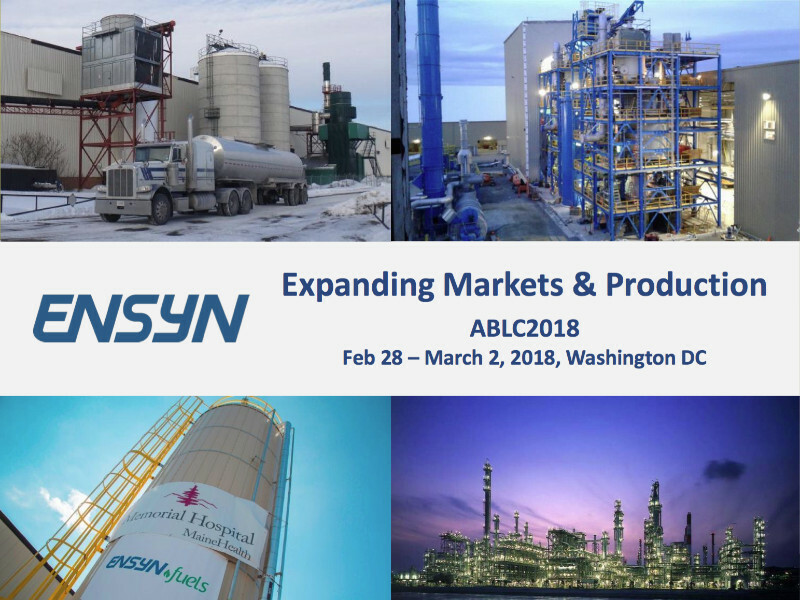 For the latest on the technology’s progress and milestones, Ensyn chairman Dr. Robert Graham, the 2016 recipient of the Holmberg Award for Lifetime Achievement in Industrial Biotechnology, gave this overview at ABLC 2018 in Washington DC.